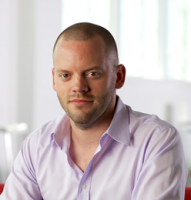 Al is the head of Twilio Flex, leading product, engineering, design and GTM. Prior to Twilio, Al was the VP of Product Management and Product Marketing at Metaswitch Networks, focused on UCaaS and Contact Center. Al has also worked in Product, Engineering, and Marketing roles, after starting his career as a consultant for Deloitte and Touche. Al has a major in Computer Science from Warwick University (UK).